In this Halloween edition of the Primer, we have all kinds of boo-tiful weekend events to tell you about if you&apos;re planning to be out and about in Hendricks County. So, let&apos;s get to it! No Halloween season would be complete without a visit from the Headless Horseman. If you are looking for a different activity for your kids than the traditional trick-or-treating, head out to Coatesville Friday night for Halloween with the Headless Horseman. At 6:30 p.m., a reading of the popular story geared for the younger children will commence followed by a reading for older children at 7 p.m. in the Coatesville Community Building grounds. Cookies and hot drinks will be served during this free event. If arts are more your thing, we have two options for you this weekend. The Hendricks Civic Theatre will host three showings of The Women in Black this weekend at the Longstreet Playhouse, 4998 N. County Road 100 East, Danville. Showings will be at 10 p.m. Friday, 7:30 p.m. Saturday and 2:30 p.m. Sunday. Tickets are $15 for adults and $13 for children and seniors. 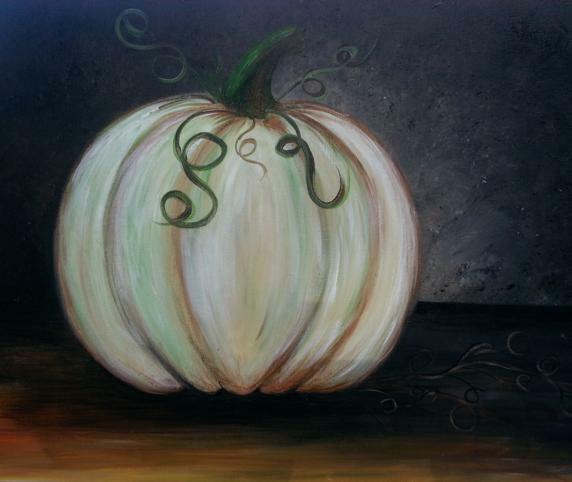 On Saturday, Gallery on the Square in Danville will host a Halloween-inspired Paint & Sip event from 1:30-4:30 p.m. Participants will get to relax and paint what organizers are calling an elegant pumpkin on a 16X20 canvas while enjoying their favorite beverage. They tell me no artistic talent is necessary, and you can even save $5 on the cost of the event when you prepay. Admission is a bargain at $35. Finally, McCloud Nature Park in North Salem will host Native American Days from noon to 5 p.m., Saturday. The afternoon will include learning more about the area&apos;s Native American culture through interactive craft activities, viewing Native American artifacts found around the park and more. The best part is the event is free and would be a great way to spend a Saturday afternoon, especially with the fall beauty on display at the park located on the northwestern edge of the county at 8518 Hughes Road. Winter will be here before you know it. So get out there and enjoy it while you still can!